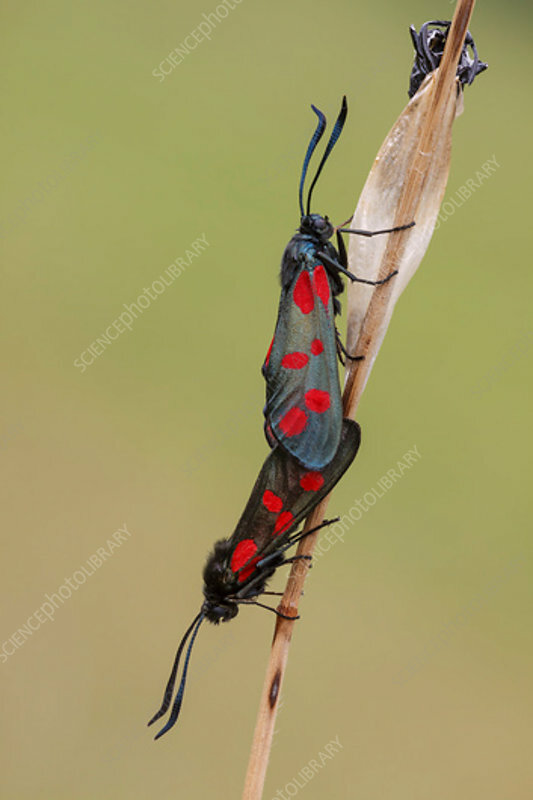 A pair of mating six-spot burnet moths (Zygaena filipendulae) on a grass stem in a calcareous limestone grassland habitat. An easily distinguishable aposematic day flying moth with dark metallic wings with red spots. It is common to grassland habitats across the UK, Europe and into Asia. Photographed in Somerset, UK, in July.